As I begin writing this post the ODI series between South Africa and India is poised at 2-2, with India needing to chase 268 from 46 overs to take the series. No easy task, but within their capabilities. Of course this series is just a warm up to the big event next month in the sub continent when the two giants will face off again in a group game at the World Cup. On Tuesday night, after India again won a tight encounter, the Protea’s named their World Cup squad. The squad contains a good mix of youth, experience, pace, spin and the potential surprise of Imran Tahir – who’s yet to play a game for his adopted country. In truth most of the squad picked itself. If you’d asked a bunch of people to pick the squad a few months ago, with the proviso so Tahir would qualify, you’d have most people picking similar squads with perhaps 12-13 of the 15 common across most lists. With that said an inclusion that most may not have had is that of Morne van Wky. Always a performer at domestic level, the Eagles opener and keeper is a great tactical choice by the selectors. When Smith pulled out of the T20 before the ODI series van Wky was given a last minute call up. He took his chance to impress brilliantly and was the only Protea batsman to really show up. He’ll fulfill the role as back up to de Villiers behind the stumps, as well a backup batsman, able to bat anywhere in the order. So that’s the positive from the squad. Where the selectors have failed is in not picking David Miller or Albie Morkel. The middle to lower order collapses during the current series have been alarming. What is clear though, and was very evident today, is that the Protea’s don’t have anyone in the middle/lower order who can come in and clear the boundary. The batsman they do have are all very good and can fulfill roles of keeping the scoreboard ticking, rotating strike, and rebuilding an innings, but arent finishers. Past South African teams have been spoiled for choice with the likes of Lance Klusner, Shaun Pollock, Mark Boucher, Nicky Boje and Albie Morkel. This squad is clearly missing a trick. Miller was identified as that player once the selectors decided that Albie Morkels form had declined. Yet instead of sticking with the young player they have balked at the first hint of panic. It became clear after Faf duplessis made a debut 60 that Colin Ingram and Miller were playing for one position. As good as a player as Ingram is the selectors made the wrong choice. They’ve gone for a number 3 batsman to bat at 6 or 7. Ingram is a backup to Kallis spot and nothing else. He’s not suited to anything lower and it’s unfair to expect him to be called on to finish off an innings. That’s the role they picked Miller for and the role he should have been persevered with. If anything it made more sense to take the youngster with and have him part of the World Cup squad, even if he didn’t get on the field. Instead he’ll be watching from home, confidence shattered, having to rebuild his reputation, while the Protea’s struggle with finish off an innings. 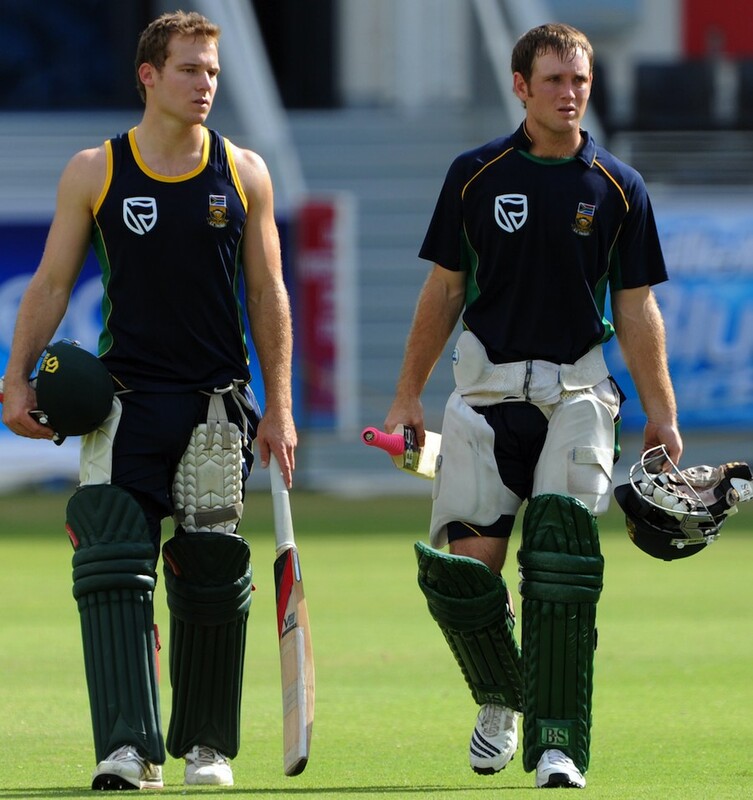 If Miller was seen as to green to take to the World Cup, then why not go with Albie Morkel? He has the record, the experience, and has been out of the team for a period to warrant coming back hungry. His record in the IPL bares testament to how he performs on Indian pitches. That match winning late swing bowling that turned a loss into a win against Pakistan in Pakistan a few seasons back shows just how good he can be. His big hitting needs no justification. On his day he can’t be touched. With Miller and Albie sat at home it would make more sense to have van Wyk come in at 6 or 7 if need be than Ingram. Ingrams time in the top order will come, he’s a very talented run accumulator, but at this stage, for this particular role, the SA selectors have erred big time. A final thought – if not Miller or Albie….why not Davy Jacobs? The media attack on the Protea’s has been brutal since their tepid performance at the T20 World Cup in the West Indies. As cricket fans sit back and watch the final between the two best sides by far in the tourniment, Australia, who will hold all ICC trophies should they win, and an England side inspired by 3 South Africans at the top of the order, and an Irishman in the middle, the Protea’s will take stock. The criticism directed at Smith and his team has been scathing, and led by many past players. South Africa go into ICC events amongst the favourites, and generally get to the semi final’s before crashing out. However the last two ICC events, the Champions Trophy, which they hosted, and this T20 World Cup, has seen the Protea’s fail to reach the knock out rounds. Once people have calmed down and reviewed the past weeks properly, then only should we begin to properly discuss what needs to be done as the Protea’s look to put an end to their ICC events drought. There have been calls for the heads of Smith, Kallis and Boucher as many give opinions based solely on emotion. Kallis was the Protea’s top run scorer in the T20 World Cup. Added to this was his bowling, which was as good as we’ve seen for a very long time. He may be 34 but shows no sign of declining standards. Anyway suggesting that Kallis should go have motives beyond cricket. The great man should not be hounded out of the national set up but rather carry on leading the batting attack. Just as India have looked to keep Tendulkar going for as long as his body will allow, so should South Africa. The reality is that Kallis, as an allrounder, will not last as long as Tendulkar. He could prolong his career by becoming a pure batsman who bowls occasionally, as Steve Waugh became during the twilight of his career. Sadly, as I’ve said time and time again, Protea fans who don’t appreciate the greatness of Kallis will when we no longer have him to call on. South Africa did not go into this competition and choke. They were badly off form. Man for man they are still one of the best and most balanced side in the world. Unfortunately very few of their players got any IPL time and the patchy limited over form, that stretches back a year, has clung on. Form is one thing but there are some aspects of this last week that need to be addressed. The team were tepid and lacked any spark at all. The chases against England and Pakistan lacked energy and most alarmingly, any idea. Their was no urgency in a do or die chase against Pakistan, until Johan Botha came in at the end. The big hitting Albie Morkel was nudging the ball for singles, when clearing the stands was needed. Going down swinging is more preferably than feebly scratching around. That is the aspect that needs to be addressed and sorted before all else. As for the team – changes will be made. Freshening up needs to be done soon with the next World Cup under a year away. The issue of captain is one that maybe should be left till after the world cup. Smith has led the team for 7 years, and while his record in Tests is good, he would not be happy with the major tournament record. If it was his planning and tactics in the chases against England and Pakistan than maybe a change is needed. Andrew Hudson, the new head of the selection committee has spoken about any changes needing to wait for a full review by all involved. Wise words. His calling up of David Miller to be added to the squad for the West Indies tour though speaks volumes. A fresh face, and young blood, has been added to an experienced and maybe shell shocked team. It’s also an addition that shows Hudson is well aware of the short comings of the team. Miller is a powerful hitting batsman who boasts a T20 strike rate of 131 and List A strike rate of 109 as well has averages of 40 and 35 in each. The ability to find the boundary has been left on Morkels shoulders, and with the help of Miller, South African batting line up could be set to again pose a threat. While changes should not be made for changes sake, you’d have to say that the likes of Colin Ingram, Riley Roussow, Stian van Zyl, Darren Smit and Rusty Theron will be looking to get their chance in a youthful influx and fresh changes to the Protea’s set up. Changes that will hopefully bring about success that the country has been starved of for years. David Miller will look to lead this influx, starting in the West Indies next week. The 3rd edition of the IPL ended yesterday with the Chennai Super Kings being crowned champions. It was a fitting result for the Super Kings, who have been the most consistent team in the 3 editions, reaching the semi finals on each occasion, the only team to do so. They also lost the first final by one run to the Rajasthan Royals. With the end of the 3rd edition signally the end of the teams first window together, there will be a fresh auction where the teams will be reshuffled and joined by two new teams, Chennai were rewarded for their results in the first three years. How different it could have been had Munbai got their tactics right. The Mumbai Indians were the most expensive team at the beginning of the IPL. Bringing in the likes of Tendulkar, Harbajhan Singh, Shaun Pollock, JP Duminy and Dwayne Bravo. The first two editions saw them flatter to deceive and fail to reach the semi’s both times. This year things were different. The balance of the team was perhaps the best of the 8 teams. 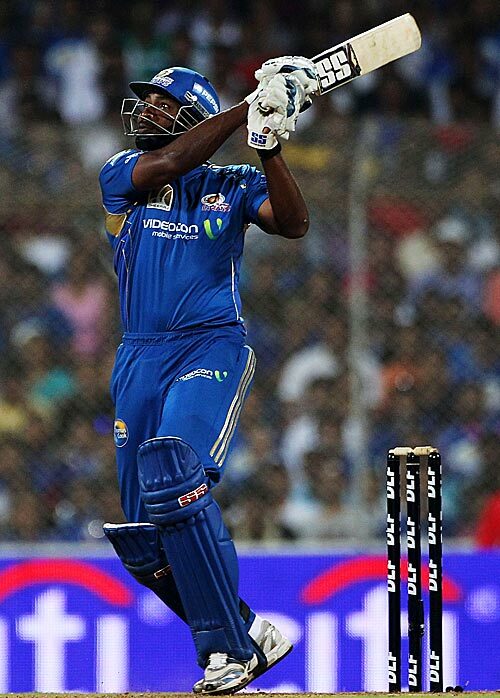 In Pollard, their expensive new acquisition, they had a powerful all-rounder who could finish games off for them. They sailed through the group stages, easily topping the log, and lead by the magnificent, and ageless, Tendulkar, and the simply brilliant Malinga. There blend of local and overseas players gave them depth in all area’s, and little weakness. But when it really mattered they came unstuck. Firstly they had Chennai on the ropes, and then fluffed it, dropping Raina twice on his way to a match winning 50. They allowed Chennai to post a decent score on a wicket that was always going to be harder chasing on. Their biggest mistakes came with their batting line up. When they were chasing 14-16 an over, with 6 overs to go, they should have sent Pollard in. Instead they waited until the 17th over, where his big hitting cameo showed what could have been, and not what was too late. Duminy, who is well capable of clearing the ropes, his brilliant 99* in the Champions League was evident of that, is not a hitter from ball one. He needs an over to play himself in, and coming in when he did he wasnt afforded that. His success in this format has been built around opening the batting, or coming in higher than what he has been doing lately. Last season he was Mumbai’s top run scorer, and that was from the to of the order. Why he wasn’t opening with Tendulkar, or at least coming in at 3 or 4, is something that Mumbai should look at. The real crime was waiting till the match was all but lost to send Pollard in. It was simply asking too much to expect him to single-handedly win them the match with so few balls left. valiantly he attempted to do just that, but in vain, with a brilliant piece of captaincy by Dhoni, and an excellent 19th over by Morkel, winning the game for Chennai. So was we move to the next phase of the IPL, with the auction and the reshaping of the teams, it will be interesting to see what happens. The teams have all had 3 years to work things out, and to see which players excel and which don’t. We’ll have to sit back and let it all unfold, but it should be the most interesting window in the IPL to date. For Chennai, they will know that there 3 years have culminated in a win, while Mumbai will now start again, knowing what it takes, and hoping not to repeat the mistakes of the past. , Tendulkar and Raina have probably been the best batsman in the 3rd IPL, with the former two battling it out for the leading run scorers cap, the orange cap. Raina has not been as prolific but oozes class whenever he comes out to bat, and unlike Kallis and Tendulkar, he does not open, something that may have cost him a few runs, and something the Super Kings should really consider. Especially with an aging Hayden misfiring. While they may be the leading run scorers, the most destructive batsman has been Robin Uthappa, Kallis Bangalore Royal Challengers team mate. Yet Uthappa can’t make it into the Indian T20 World Cup squad. Uthappa has hit the most 6’s, easing past the big hitting, if inconsistent Yusuf Pathan, but more than his ability to clear the boundary, almost at will, has been the consistency at which he is able to find the big shots game in and game out. Hitting ability, and the ability to close of innings and matches this well hasn’t really been seen since Lance Klusner used to do it at his prime for South Africa. Bangalore owe much of their success this season to the batting of Kallis, along with cameo’s from Pieterson, Dravid and Kholi, together with a well balance bowling attack, but the real clincher has been Uthappa. He’s given both chases and setting of totals an impetus that has taken the team to the next level. The ease and distance he’s been able to hit top bowlers and struggling ones alike has been remarkable. Yet he can’t get into the Indian team. It seems Indian cricket may be suffering from a celebrity culture that takes places away from deserving players. It’s what happens on the field that counts. Tendulkar isn’t in the T20 team, which means that there’s one less batsman for Uthappa to get past. Of those chosen, Dhoni is captain and must play, Sehwag and Gambhir have not fired yet this year but you’d imagine they will start as the openers, Raina would come in next. But are the rest more worthy than Uthappa? Karthik is the reserve keeper and a good batsman, but better than Uthappa, who’s been keeping for the Challengers? Sharma has obvious ability and talent but like Karthik has been out batted by Uthappa. Yusuf Pathan and Jadeja are there as spinning all rounders so Uthappa wouldn’t be up against them. But Yuvraj Singh? He has shown an alarming lack of form and even more horrific lake of motivation this season. He has put the lack of form down to returning from injury, which would perhaps be believable if he hasn’t looked like a sulky teenager having been grounded. He lost the captaincy this year and has looked like he wants out ever since. And he’s been picked ahead of Uthappa? Clearly the celebrity of Yuvraj has been picked ahead of Uthappa. So what has Uthappa to do to get past the bigger ego’s and reputations in the Indian team? If he’s not going to be picked on this form it’s hard to see him ever being picked. At 24 he still has many years ahead of him. Enough time to move to South Africa and qualify for the Protea’s. We’d have him, even if India won’t. A few years ago Norman Arendse was in charge of South African cricket. His time in charge was more controversial than successful. Amongst the happenings under hiswatch was the retirement of Charl Langeveld, who refused to be used as a political pawn by Arendse, who has withdrawn Andre Nel from a touring team and replaced him with Langeveld, because he wanted less white players and more players of colour. Heroically Langeveld did not allow this to happen. There was also the occasion, a post match presentation to Shaun Pollock, who had played his final game for the Protea’s and had received a reception fit for the legend of the game that he is, and Arsendse decided to interrupt this goodbye to one of the countries favorite sons, to wish his daughter a happy birthday on live TV. I hope she was as embarrassed as the rest of us. bowed out before the semi finals with just one defeat – how Kallis experience was needed. Kallis has been instrumental in the fortunes of the Bangalore Royal Challengers. He has played the part of the batsman other look to play around, opening the batting and looking to bat for as long as possible, but has shown enough aggression and wonderful timing to keep the runs ticking over at a very healthy rate. He can field and bowl too. but to master it. That’s why they are the best. Maybe Arendse is watching, and this time he feels embarrassed. I doubt it though. But Kallis won’t give him a second thought. He’ll just carry on doing what he was born to do – play cricket brilliantly. Many cricket watchers outside of South Africa will not be too familiar with Loots Bosman, but South Africans are all too aware of just how capable he is in limited over cricket. Loots “The Hammer” Bosman is the leading batsman in the domestic Pro 20 Series, and is currently the only player to score a Pro 20 Series 100. After being out of action with knee ligament damage he has returned to action with a bang, scoring 58 and 94 in the two T20 internationals against England. Bosman is not new to the South African set up, having played 12 ODI’s and 6 T20 games, with limited success in the 50 over format. In ODI’s he has only one 50, a score of 88, and has been less destructive than he can be, perhaps an indication of not having settled in international cricket at that level. However it seems he was born to play T20 cricket. Before today’s match he had an international record of 5 games, an average of 40.75 with an impressive strike rate of 153.77, and Fridays score of 58 being his highest. He also shared the best opening partnership record for South Africa, 146 that he and Smith put on against Pakistan. Today’s innings saw him and Smith better that record, and the world record, as they put on 175 from only 88 balls. 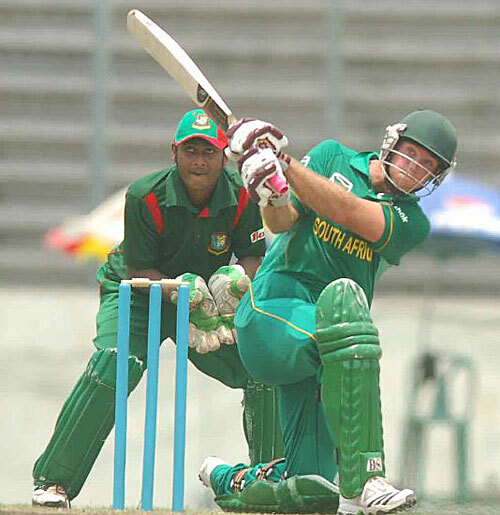 Bosman’s innings of 94 is also the highest by a South African in T20 internationals, beating Gibbs 90 not out, and he now has the highest score in both South African domestic and international T20 cricket. Domestically Bosman has played 34 Pro 20 Series matches, with an average of 34.66, a strike rate of 144.24, and a highest score of 104. That’s a record that would hold up with the best in the world. The freedom that he is allowed in T20 cricket is just what Bosman thrives on. While is record is impressive what he has shown in the last two games against England is that his game has gotten better. The freedom that is afforded to him, particularly with the relative newness of T20 cricket, has seen Bosman as a bit of gun slinging batsman, swinging for every ball. While this is an approach that has worked for him, his move from the Free-State Eagles, to the Kwa-Zulu Natal Dolphins, has seen Graham Ford working with him to build an innings. This was evident in both games, particularly in today’s master class, where he took a couple of overs to play himself in before launching, picking the balls to hit, rather than swinging for each one. Hopefully the selectors for the Mumbai Indians have been watching these games. Bosman has been Indian for two years but is yet to play a game. The 4 non Indian players rule means that is tough to get into the side, particularly with the likes of Duminy, Malinga, Jayasuriya, Bravo and Mills in the squad. However there have been many opportunities to play Bosman but Ashraful, Napier and Ronchi have been picked ahead of him. Ronchi in particular has had many chances to prove himself but has failed to do so. The talents of Bosman are obvious to all South Africans and will have been noted by others. If the Mumbai Indians continue to ignore these I’m sure other IPL teams will have no problems finding a place for the explosive hitter in their teams. You are currently browsing the archives for the Indian Premier League category.